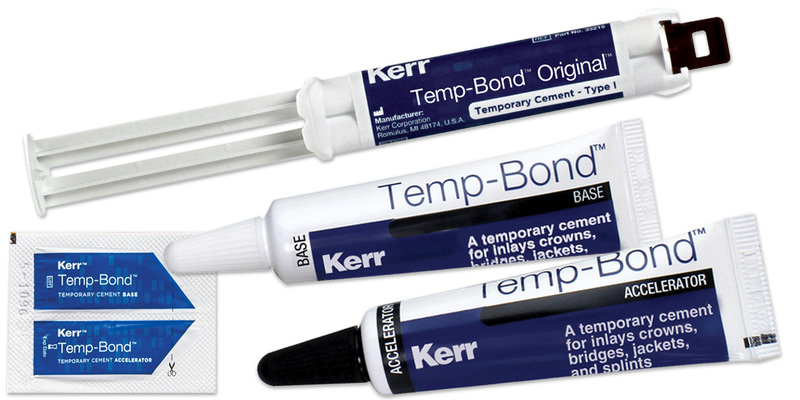 Self-curing, zinc oxide eugenol temporary cement for trial cementing restorations or cementing temporary crowns and bridges. Flows easily, allowing complete seating of the restoration. Withstands mastication, seals the restoration and prevents seepage, yet affords easy removal when desired. Contains: 2 x 5ml automix syringes, 20 mixing tips. Contains: 1 x 50g tube base, 1 x 15g tube accelerator, mixing pad. Contains: 50 x 2.4g Unidose packets (120g total), 1 mixing pad.